The ‘Hey Joe’ Card game is a game for 3-4 players aged 8 and up. It is a fantastic way to engage students in understanding bullying behaviours and the range of ways it can occur. This is available free to print, laminate and play. Hey Joe developed from an idea one of our Year 8 ambassador groups had in late 2015. We wanted a game that would actually be fun to play but would also lead to discussion around bullying. Over 14 months, 18 revisions and over 50 trials hey Joe has been created as an interactive way to engage students in understanding bullying behaviours and to promote discussions about responding to bullying behaviours and developing empathy for those experiencing negativity. 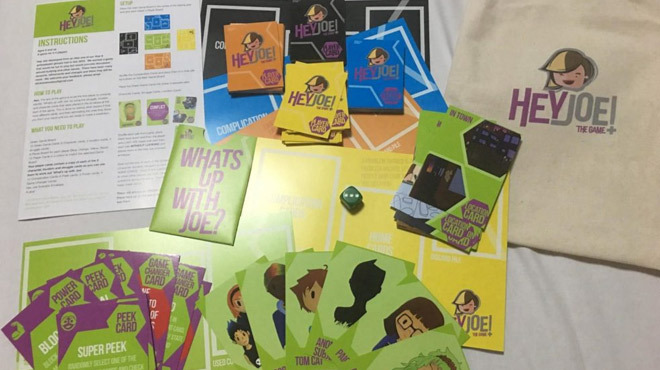 The aim of the game is to be the first player to correctly identify ‘What’s up with Joe’ by using the struggle, location and character cards that were secretly placed in the envelope at the start of the game. 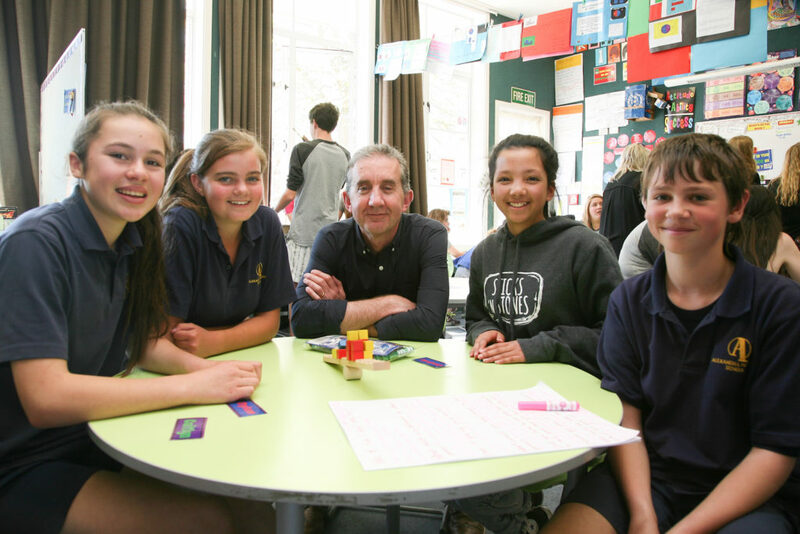 The game provides a great starting point for discussions around bullying and other issues young people experience. 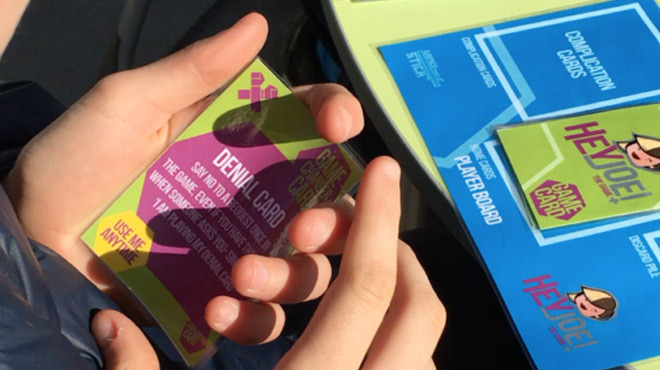 Using the characters and struggles shown in the game supports young people to share their experiences, struggles and ideas in a safe way by using the game characters and situations rather than the vulnerability of relating it back to themselves. Discussion prompts are included in the instructions to support teachers or facilitators. Our Ambassadors did a lot of research into games that were available that focused on bullying and were disappointed that almost all were heavy on the content or message but very light on the game play and enjoyment. A range of other games were played to work out what we liked and could include in our game design so that we could balance the learning that we wanted to emphasise with fun game play elements that we could play more than once and still enjoy. We decided that using a card game would mean other people could print and play our game without needing specialist pieces or boards. We wanted to use deduction as the aim of the game but also wanted to include complications rather than a simple 'whodunnit' game so that our game would reflect how quickly things can change (and become more complicated). At least 19 different versions of the game were made. We tested every one and worked out what we liked (and didn't like) so that we could make it better. We then introduced the game to groups of ambassadors in other schools and across our school with other students and the feedback has been super positive. These guys were one of our very first pilot schools to get behind our ambassador programme and provide ongoing support for their student to develop skills to recognise and stand up to bullying as well as developing confidence and skills to be confident, resilient, empathetic, kind and supportive of people aroudn them. The amount of work put into developing this game has been ENORMOUS and we are increidbly proud to have been able to support the idea right from the very beginning and to learn alongside such creative, focused and positive young people.